Do you want to start a low carb or ketogenic diet but don’t want to completely give up alcohol? Are you currently on this type of diet but want to find a way to indulge at the same time? Good news — we have the solution to both of these problems. You absolutely can enjoy the occasional adult beverage without undoing the progress you’ve made with your diet. You simply have to be aware of which alcoholic drinks are low or no carb and make wise choices. 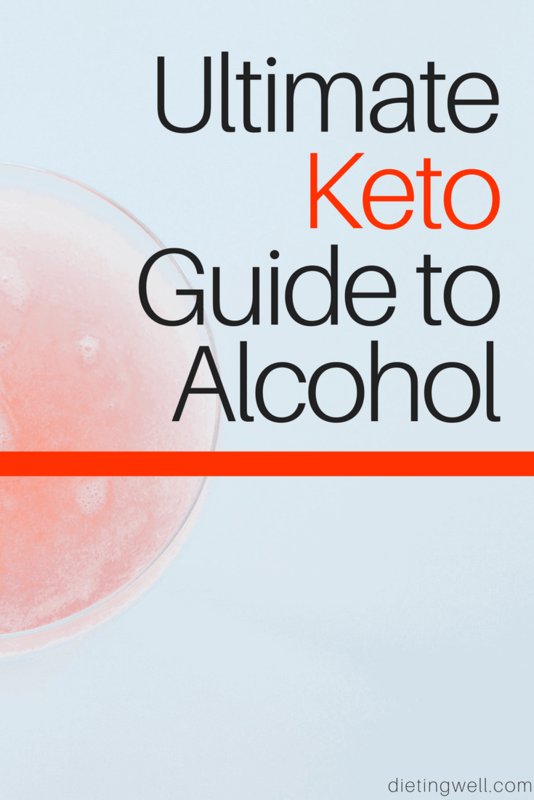 Before we get into how alcohol affects the body differently during a ketogenic diet, we’ll first explain what a ketogenic diet even is. Basically, a ketogenic diet calls for an individual to consume a very low number of carbohydrates while eating high amounts of fat and adequate amounts of protein. Normally, the body first turns carbs into glucose to use as energy. However, when a person follows a ketogenic diet, their body is forced into a state of ketosis, which means the body is instead breaking down fat cells into fatty acids and ketones that are used as energy. When alcohol is consumed during a low carb diet, the body will opt to burn it first rather than fat. This means that drinking alcohol will temporarily stall the ketosis process. If you’re drinking alcohol in moderation, this temporary stall in ketosis isn’t anything to worry about. However, if you’re drinking too much, you will hinder your weight loss goals. You don’t have to give up alcohol completely while you’re on a low carb diet. However, it is important to practice moderation while also being aware of the types of beverages you are consuming. Some alcoholic drinks are much lower in carbohydrates than others, and these will be the least likely to hinder your progress. So, what can you drink during a ketogenic diet? Keep reading to find out. There are actually quite a few low carb alcoholic beverages out there for you to choose from. Whether you prefer wine, beer, or liquor, you can still imbibe as long as you choose the right drinks. If you prefer white wine, you’re in luck! There are even more white options to choose from that offer a limited number of carbs per five ounce serving. Obviously, there is a little more variety among the white wines when it comes to number of carbohydrates. Champagne is your best bet, while Riesling will set you back a bit more in the carb department. However, compared to other, sweeter wines, 5.5 grams of carbohydrates is nothing to stress about as long as you don’t have too many glasses. While many beers are high in carbohydrates, there are still quite a few that have less than 4 grams of carbs per 12 ounce serving, which means you can still easily fit them into your diet. When it comes to counting carbs, hard liquors are actually your best bet because many of them don’t have any carbs at all! The reason for this is that the sugars in hard liquors are changed to ethyl alcohol during the distillation and fermentation processes. By the time you drink them, hard liquors are just made up of alcohol and water. Meaning they won’t affect your body’s sugar and insulin levels the way other carb-heavy drinks will. If you are counting calories while on a low carb diet, remember that liquid calories — even the ones in low carb beverages — can add up quickly. As well as being free of carbs, hard liquor is the lowest calorie option in the alcoholic beverage department. All of the liquors listed above contain between 65 and 69 calories per serving. Most of the beers listed above have less than 100 calories per serving, with the exception of Michelob Ultra Amber, which has 114 calories per serving. As far as low carb wines are concerned, champagne is the lowest in calories (96) as well as carbs. All the others listed above have around 120 calories per serving, making them the highest calorie drink option. However, since lower carb wines are dryer wines, you can sip them slowly and make them last a little longer. This is a good trick to keep in mind (with any kind of drink) if you want to pace yourself throughout the night, especially if you, like most people, have noticed that your alcohol tolerance has decreased since changing your diet. To further prevent overdoing it on calories, be sure to measure your drink servings if possible, and stick to low calorie or calorie free mixers and chasers as well. What Drinks Should I Avoid While On A Low Carb Diet? Basically, anything that is sweetened with sugar should be avoided while on a low carb or ketogenic diet. Sweet wines, including moscato, port/sherry, dessert wines, sangria, and zinfandel, are off limits, as are flavored drinks like peach schnapps and Bailey’s. Steer clear of sugary mixers, including most juices and syrups, triplesec, whiskey sour mix, grenadine, and frozen margarita mixes as well. 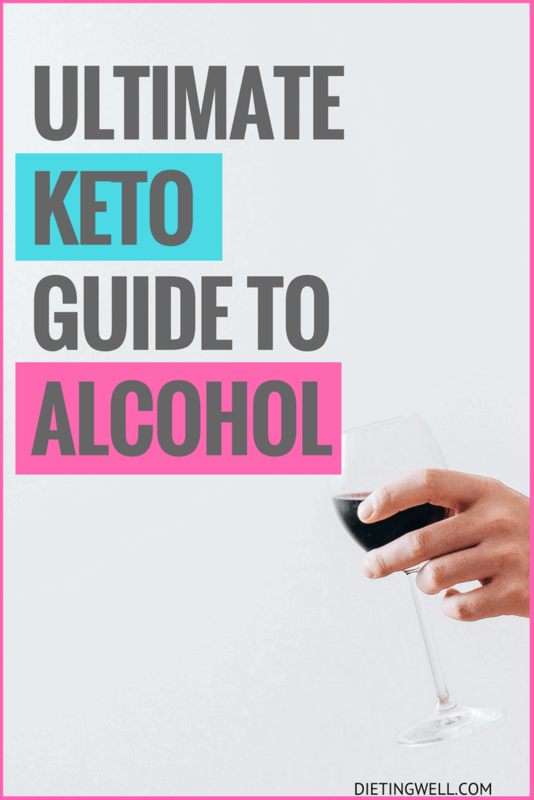 You are almost guaranteed to experience a change in your alcohol tolerance while on a ketogenic diet. The reason for this is the fact that, as discussed above, your body will absorb alcohol a lot faster than usual since it does not have many (or any) carbs to use first. A decreased alcohol tolerance can be both a blessing and a curse. The positive side is that you will need to drink less in order to feel the effects of whatever beverage you consume. Ideally, this will lead to fewer calories and carbs consumed, which is good for your weight loss goals. However, there is also a chance that, since alcohol will affect your more quickly, your inhibitions will be lowered and you will overdo it. In addition to drinking more calories and carbs than usual, lowered inhibitions usually lead to poor food choices. You can still indulge in some of your favorite “bar” foods while on a low carb diet. For example, if you want a cheeseburger, you can have it, just take off the bun first. However, in order to avoid undoing your progress during a night out, it’s important that you take the time to prepare beforehand. Eat something keto-friendly before going out so that you’re not drinking on an empty stomach, and plan to get back on track the next day. You shouldn’t sacrifice fun activities just because you’re on a diet, but you also shouldn’t use one day of going slightly off track as an excuse to completely throw the towel in. You also will likely experience more of a hangover while you’re on a low carb diet, so start drinking water early in the evening to try and ward it off. Staying hydrated will definitely soften the blow, and your future self will thank you for remembering to drink water. The main thing you should remember from this guide is that you can indulge while on a ketogenic diet. You just have to be smart about it and plan ahead. Stick to dry beverages to avoid any excess sugar, stay away from high carb and calorie mixers, and remember that alcohol will likely affect your differently while you’re on a low carb diet. Keep all these things in mind, and you can absolutely enjoy a fun night out without hindering your progress! What has been your experience with the ketogenic diet? Let me know in the comments! I’ve been trying to do a keto diet, but I want to drink some alcohol. It’s nice that there are some that still work with the diet! I’ll make sure that I get one that will work for me.